Wet rooms create a waterproof showering area, you can build your entire new bathroom from a product such as Wedi and simply tile the entire room as normal, safe in the knowledge it is now 100% waterproof! People are sometimes understandably baffled by the wet room installation process, but this video by market leaders Kudos, shows just how easy it can be. Watch the fish and learn! Wet Room Shower Bases are tray formers for wetrooms and bathrooms to create a tileable shower base, 100% waterproof they form the main showering tray area. 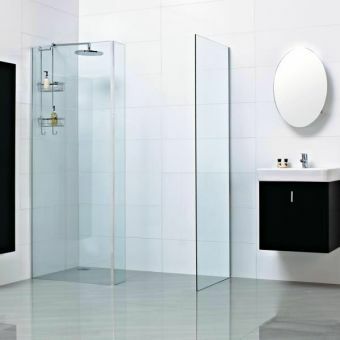 We have a selection of straight and curved screens in a variety of sizes perfect to create any wet room. 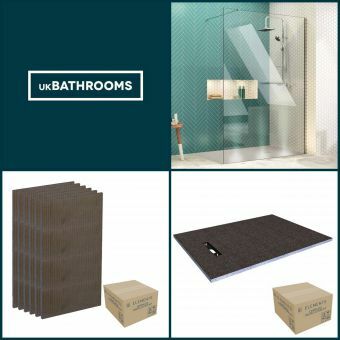 Ever popular with its continental style, the wetroom look is easily achieved with our range of affordable flooring options and substrates to create a watertight seal and foundation for your dream wetroom space. Ranging in price from entry level units to top end models, our selection of Wet Room Packages demonstrates that the exquisite, luxury bathroom feature of the wet room is more affordable than one might first think. A wetroom is a bathroom or shower room that is fully or partly waterproofed around the showering area. The shower can be open or walk-in in style, but the water falls on a surface that is level with the rest of the room, draining away through a waste outlet set in the floor. Wet rooms are tiled, waterproofed (“tanked”) bathrooms. This style of bathroom came across to the UK from Europe, Europeans have had wetrooms in their homes for decades, due to the construction of most European homes (concrete floors) wetrooms were easier for them to create, whereas UK homes traditionally had bathtubs which sat on floorboards. 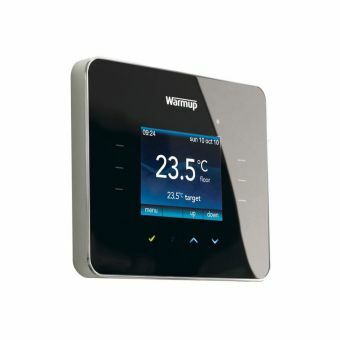 UK Bathrooms sell a range of leading wetroom brands such as Wedi, Impey Aqua Systems and Abacus wet rooms. 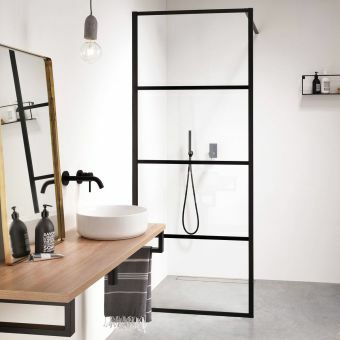 With modern day advancements in bathroom technology this division of wetroom or bathroom doesn’t really exist anymore, you can now incorporate many elements of a traditional bathroom such as a bath and toilet into your walk-in wetroom design. Or, add a section of wetroom flooring to your bathroom. 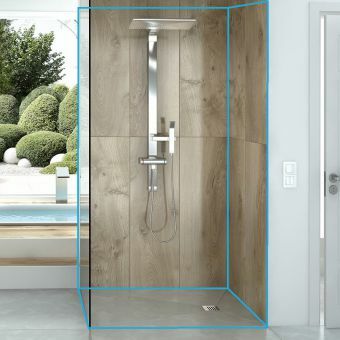 The main advantage of a wetroom is having an open shower design, if you are not interested in having a shower in your bathroom renovation you may not need to create a waterproof wetroom space, but nowadays the vast majority of people opt for a shower in their new bathroom. The image above shows the variety of areas that can be built with Wedi board in your new bathroom, including bath boards, steps, shelving and shower walls. Can a wet room be installed upstairs? Yes! Advancements in wetroom technology by specialist manufacturers such as Wedi, Impey and Aqua4ma by Kudos, or Abacus mean that spaces such as upstairs rooms with floorboards can now be converted into wetroom spaces! 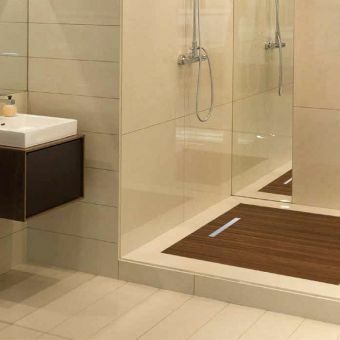 For example you can use Wedi on floorboards, thinking about UK homes with timber floorboards Wedi developed a perfect solution with the Wedi Fundo Ligno shower base, a wooden floor solution. The Fundo Ligno at just 20mm thick can be integrated flush into the existing timber floor, if the floorboards cannot be cut due to tricky joist that could be in the way it can also be installed on top of floorboards. 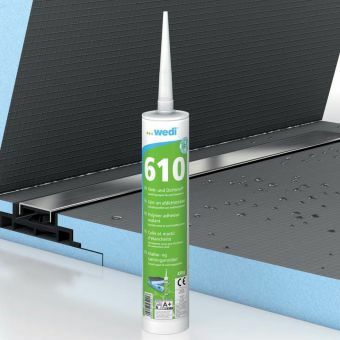 You can then build out your waterproof area by adjoining Wedi tile backer boards around the tray former, attaching and sealing with the trusty Wedi 610 sealant for a 100% waterproof finish, ready to be tiled! Other brands offer solutions for timber floors, get in touch with your requirements and we can advise further. 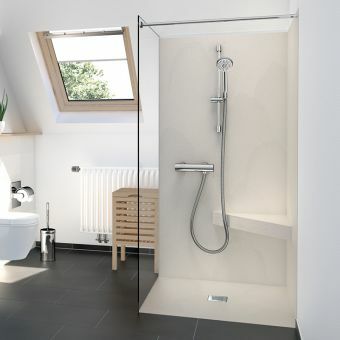 A lot of people come to the solution of a wetroom for mobility purposes to give them greater freedom in their home bathroom. 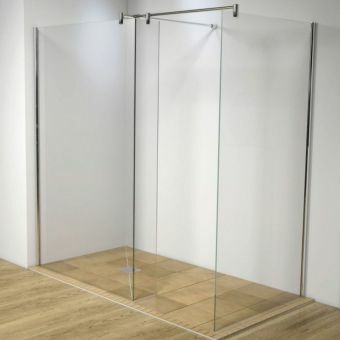 In addition to people who need a wetroom for mobility, caring for family members with special requirements or elderly care a growing number of customers are looking to create large waterproofed spaces for luxurious open walk in showers, safe in the knowledge that the floor and walls are waterproof. These spaces are open, light, modern and stylish. Gone are the days of a gloomy damp wetroom! 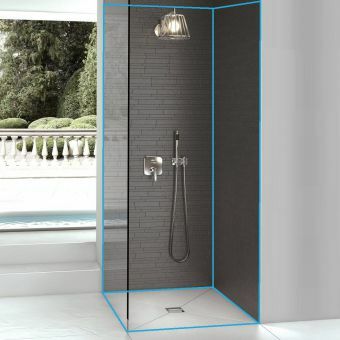 This image illustrates a lovely light, open wetroom bathroom created with Wedi wet room products. The copper rose gold brassware accents are a lovely finial detail in the overall design. Wetrooms are for everyone, there are so many build options with wetroom building boards you can create your entire bathroom space in waterproof boarding and tile over. Such a wide variety of styles and finishes are available, in almost any tile you can image, allowing you to fully customise your bathroom design to the bathroom of your dreams! Considerations are colours and textures, opt for a light colour to create the illusion of space, and stick to textured tiles for the floor to prevent slipping. See our inspirational images below for some wet room ideas. The image above illustrates a light and bright wet room created with Wedi board. Similar items to those featured are the Villeroy and Boch Loop & Friends Basin, plus the AXOR Citterio Showerpipe. 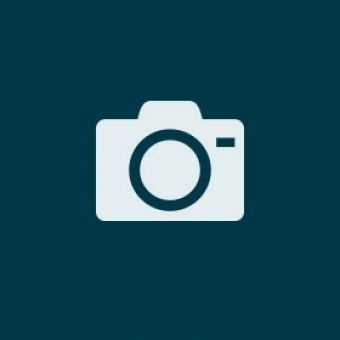 Click the image to zoom. There are so many possibilities open to you with a wet room, you can be really creative with the tiling you choose! There will be certain considerations to make for example if you are creating a walk in shower area to support yourself and your wheelchair you will generally need to use tiles over 50 x 50cm on the Fundo Ligno base to ensure the weight is spread evenly over the waterproof board, speak to the manufacturers technical team for details. 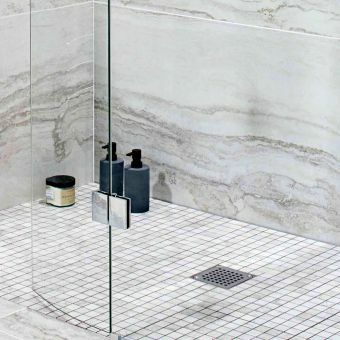 If you are creating an open wetroom space you can zone different sections and create feature walls and textures to accent different areas of the room. For example, large flat tiles can be used on shelving and countertop sections, a decorative smaller patterned tile can be used on a feature wall. We sell the entire range of Villeroy and Boch tiles so please do get in touch with us for a quote. We would always recommend use of a quality tile adhesive, such as the reliable Wedi 320 tile adhesive, which can be used not only on Wedi board but also on a wide variety of surfaces such as natural stone, cement, screeds, it can even be used to bond tiles and glass mosaics. The video above shows how simple and straight forward constructing with Wedi is for your fitter, so many features can be created, and it is all 100% waterproof! Can a wet room have a bath? There is no reason your new wetroom design cannot incorporate a bath. You have a few different options here, you can purchase a normal acrylic or stone resin bath and use a product such as the Wedi tile backer board bath panels to panel in the area and fully waterproof it ready for tiling. Your fitter can create an access hatch for later servicing of any brassware on your bath. There are also products such as the Wedi Sanbath Cube and Wave, which are ready made bath tubs made from Wedi material that are ready for tiling, install and connect it and you are ready to tile. Another option would be to install a lovely freestanding bath on top of your tiled floor, ensuring you use large, suitable tiles to spread the weight evenly on the floor. The image above shows a few options using Wedi to incorporate a bath into your wet room design, these can then be tiled over. 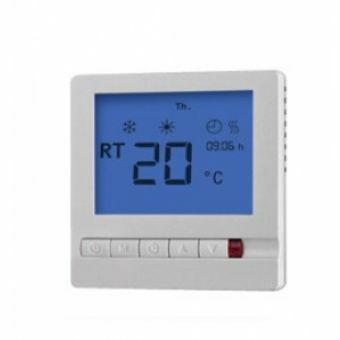 Can a wet room have underfloor heating? Yes! In fact, we would recommend it very highly. This is because underfloor heating helps dry out your wet room bathroom, reducing mould and bacterial growth and damp smells. 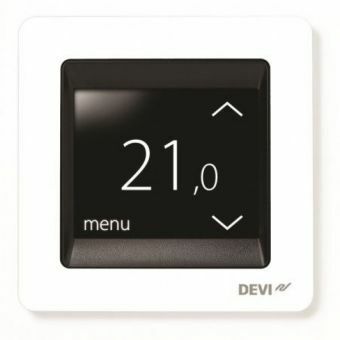 Not only is adding underfloor heating to your new wet room an affordable, comfortable luxury, taking the chill out of tiles, but it also adds value to your property! As a major modern plus feature it can be a real selling point for your home. Depending on your renovation and final floor choice, electric underfloor heating is easily installed when renovating your bathroom wetroom, meaning it is a really popular choice for bathroom renovations. 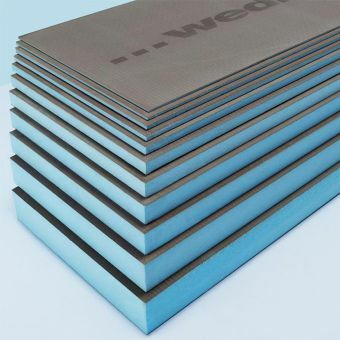 If you are using Wedi building boards for example, the insulating properties of the board reflects heat back up into the room, keeping it from the ground or floorboards underfoot, Wedi can be used with hot water underfloor heating or electric underfloor heating systems alike. 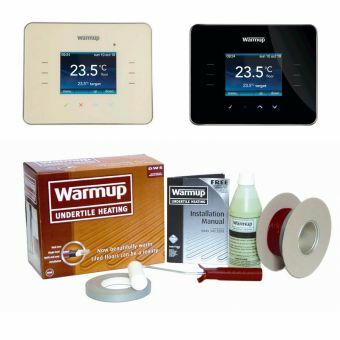 Warmup are a fantastic underfloor heating brand we sell that offer solutions for other floor types such as wood, stone laminate and even carpet for other rooms in the house. The video above demonstrates the installation of Warmup underfloor heating, which can be used in wet rooms and bathrooms. Waterproofing - your bathroom wetroom can be fully tanked out to make it a 100% waterproof space, brands like Wedi offer a 100% waterproof guarantee, meaning you can take great comfort in the fact that the long shower you enjoy or relaxing soak at the end of the day is not contributing to any hidden leaks and water migration in your property. This removes any nasty unforeseen and expensive building problems that might develop in the future from hidden leaks in your bathroom. Design: wetroom builds offer huge flexibly and creative design possibilities. 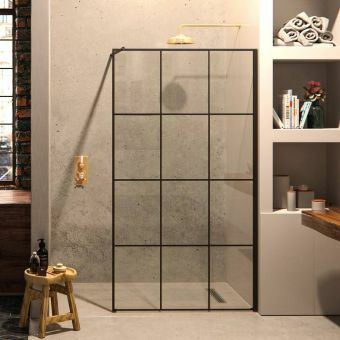 Some of the most popular and best looking wetroom designs include “niches” in the wall which are both practical and decorative, as they are effectively a recessed shelf area. Specialist waterproof lighting can also be added to create an atmospheric element and add interest to a large wall area that might need breaking up design-wise. You can also build shelving, pipe covers and seating, half walls, steps and curved shower walls – the only limit is your imagination! Your chosen tiles can be used to create different areas, shapes and designs on top of the wetroom waterproofing kit. Pleasure of use – a well-designed wetroom is such an open-plan, light, clean, easy to use space that everyday bathing activities become an ergonomic and intuitive pleasure to use and live in. Zoning your areas with tiling designs or building part walls for example can define the flow of the room, and creating shelves for washing areas guide the user to the washbasin seamlessly for your morning routine or evening wind down. Call our friendly team for help and advice on your new wetroom, we can help you create your dream wetroom bathroom, with all the features you would like right down to the final tiles. You are welcome to send us your dimensions and room designs and we can work with you to create a quotation for all the items you will need! Get in touch today and we can start planning your new wet room today!